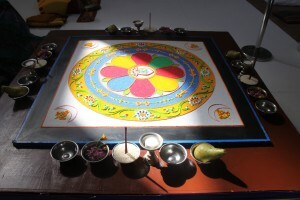 Monday 16th September – Saturday 21st September 2013 – Making Sand Mandala – viewings daily in afternoon, also with Tibetan hand crafted items for sale. Tibet – a sacred world filled with the chanting of Buddhist texts, recitation of mantras, ringing of bells, blowing of trumpets and beating of drums. 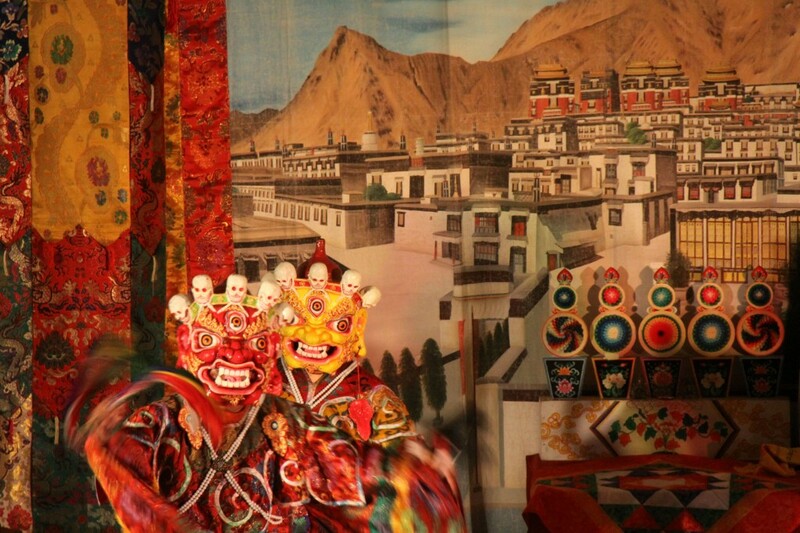 Recreating the mysteries of the Buddhist Monastery as a transforming experience for the audience – eight Tibetan monks from Tashi Lhunpo offer a dramatic presentation of sacred dance, music and chanted prayer with traditional costumes and ceremonial masks. The performance offers a rare opportunity to take part in a transforming experience lasting for 90 minutes, the performance has a spoken commentary between each item. 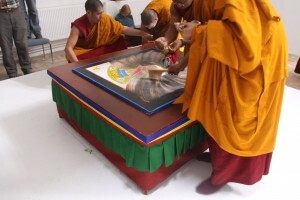 Sand Mandala Exhibition – Monday 16th – Saturday 21st September 2013. See the monks creating a Peace Mandala out of millions of grains of coloured sand. Once the mandala is completed there is a blessing and it is then destroyed, representing the impermanence of all things. 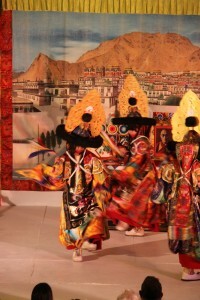 The Mandala will stay in the Drill Hall during the masked dance on Saturday 21st September. 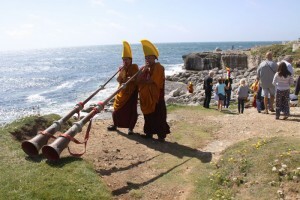 On Sunday 22nd September there will be the Destruction Ceremony and procession to the se, with the monks accompanied by the audience, where the sand will be returned to the sea to carry prayers across the world.We hope that many Portland people will join the procession from the Drill Hall to the sea. When this event took place in London over 10,000 people joined the procession to return the grains of coloured sand to the river Thames.Workshop for children and adults. Saturday 21st September 11.00am – 5.00pm. 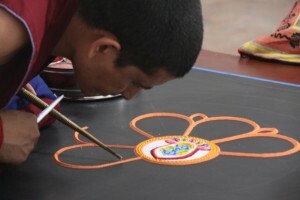 Introducing the art of Sand Mandala making, woven silks, butter sculpture and prayer flag making.